It's the shearer who has the full on job. Our job is support and service. 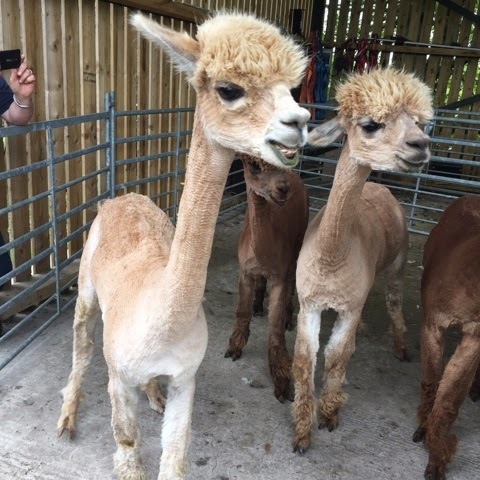 We have to keep the alpacas coming too the shearer dry, relatively unstressed and without pause throughout the day so he/she can maintain a rythmn and get on with the job without drowning in fleece. Then we must get the shorn alpacas out away back to their paddocks where they can relax and adjust to the new temperature of their existence. 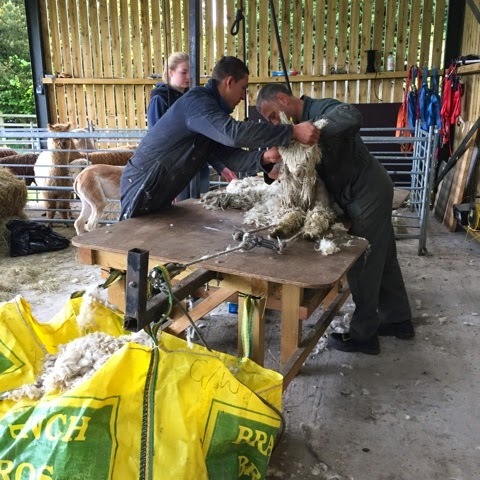 Our second job which is also primary to TOFT is to get the fleece off the table and get it skirted, sorted and graded and into the appropriate bags in the six minutes before the next one arrives. We find great bacon sandwiches for 2nd breakfast around 9 am, a great lunch at 1.30pm and cake and tea around four keeps the table humming until 7.30pm weather permitting. The weather held good this year everyone performed professionally and with good humour, job was done and we all carry the experience as a memory until next year when we shall do the same again. All that is left now is the tidying up. 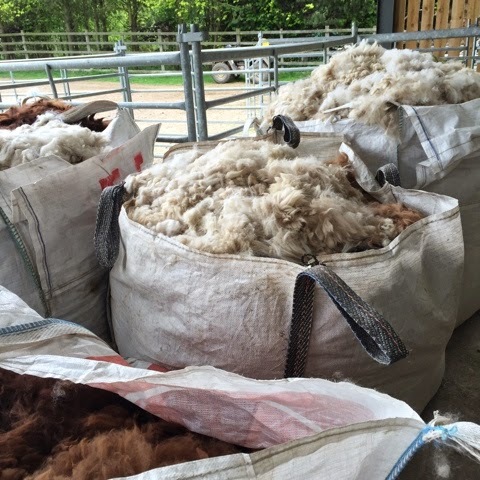 The sorted and graded batches go off to the mill next week to be turned into TOFT luxury yarn. 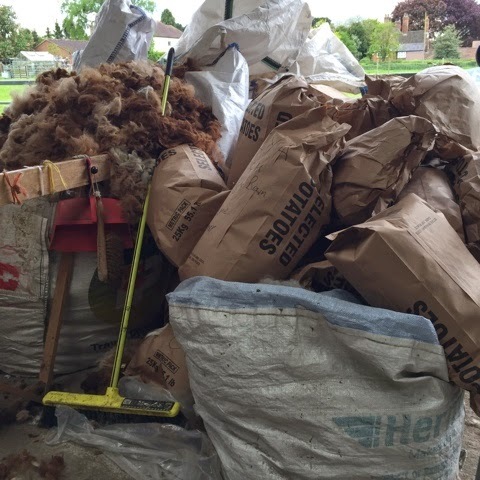 The rejected fleece will be picked up by the stuffing man, sheds swept and cleaned, hurdles returned to the paddocks and all will seem like it had never happened- except of course we have 200 pink panthers wandering around our paddocks until October when the re growth start to soften the look again.